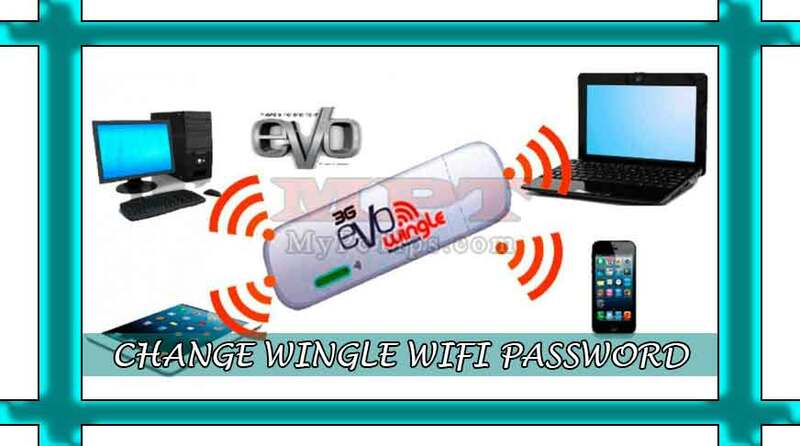 If you are searching that how can you change your 3G EVO Wingle Device default Password Key to Custom then you are absolutely in right place. 3G Evo Wingle is internet USB Device of PTCL which supports upto 5 Wifi connections, which means 6 PCs/Mobile can be connected at the same time with this device 5 device will be connected via Wifi and one will work with USB connectivity. It's first Wireless USB Internet Device. Every 3G EVO Wingle device contain a pre-defined Wifi-key for Wireless connection and it is not too hard to change with Custom to redefining your own. Many of people or users doesn't know about this feature so it's for those only. If you know this method then it's fine. 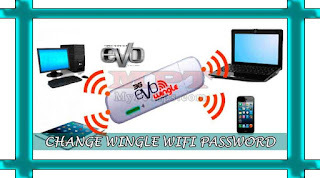 If you have connected Wingle USB with PC/Laptop, then it will automatically open 3G Evo Wingle Homepage in your Default Web Browser. If you're connected via Wifi/Wireless, then Open "Web Browser" and Type "192.168.1.1" or "192.168.0.1" in URL Bar and "ENTER". Click on "Log In" link located right top of Homepage. Type "User Name = admin" and "Password = admin" the click "Log In" button. Click on "Settings" Tab from Homepage. Click "WLAN" from left to view Dropdown list and Select "WLAN Basic Settings". Now change "WPA pre-shared key:" to your own Wifi Password. Click on "Apply" button to done. 3G (3rd Generation) Technology mobile ki latest telecommunication, technology hai, Jo esi services ko support karti hai Jis k through information minimum 200kb/s transfer rate se provide ki ja sakti han. 1G (Network Analog) ko 1982 me introduce kiya gya tha, And after this every ten years later, A new generation of Technology has appeared. It's better to ask owner for Password or contact him for sharing net service because Hacking is a Crime and If you will go for Hacking then it will be just waste of time, cracking password is not easy. According to me it's nothing but waste of time. Sir g telenor 3g ki speed increas kaisay ho ge .is ka koi signal booster koi hay to bta dain. Agar ap Telenor ki USB Modem 3G Mobile Wifi ki baat kar rahe hain to phir Modem ko kisi open area/space main rakhein thake signals strong ho aur ping break na ho. Agar ap Telenor ki SIM par 3G ki baat kar rahe hain to phir uski speed achi hai. Zarurori baat yeh hai ke beshtar companies ne apne tower par bandwidth aur users ki limit rakhi hoti hai, yahni agar 50 se zyada users hon to speed kam ho ga aur aghar users ki tadad kam hogi to phir apko zyada se zyada speed milega, yehi policy tamam wireless communicators istemal karte hain. Junaid bhai mien ne Optcl wingle wifi li hai aur mien is ka password change karna chahta hoon kese hoga wifi ka password please bataen. Uper di huyi hidayat ko follow karein, jaise uper bataya gaya hai ke 'WPA Pre-shared ke' hi wifi ka password hota hai, usay change kar ke Apply karein. Walaikum Assalam. Ji Janab Internet se paise kamaye ja sakte hain aur bohat sary tareeqe hain, lekin in main se koi bhi tareeqa aasan nahi hai. Website Bana kar bhi Paise kama sakte hain aur bina banaye bhi kafi sare method hain. PPC Method (Yahni Pay Per Click), Google Adsense, YoutTube Monetization, DailyMotion Partner, Shorten Link Ads(Adf.ly, Shorte.st, LinkBucks) wagaira. Lekin in sab methods ke liye apko hazaaro viewers chahiye per day. Bii, may ny 3G evo wingle lii hy, mgr jb my os ko connect krta hu laptop k sath to aagy 'wingle web admin' ka page open hojata hy. may ny sari settings be change ki i.e name, password etc mgr connection nhi horha. wingle my jo signal indicater light hy wo be break ho rhii hy. OK, Sab se Pehle ap Wingle USB ke Cover ko Khool lein phir usko apne Computer System ke USB port se Connect karein, Phir Reset Button ko 10 Seconds thak daba kar rakhein. (Reset Button Wingle USB main laga hota hai jo ke bohat hi small size ka hai agar diyan se dekhenge to nazar aa jayega). Umeed hai apka masla is se hal ho jayega.